This is the Carzone.ie guide to buying a used Volvo V40. 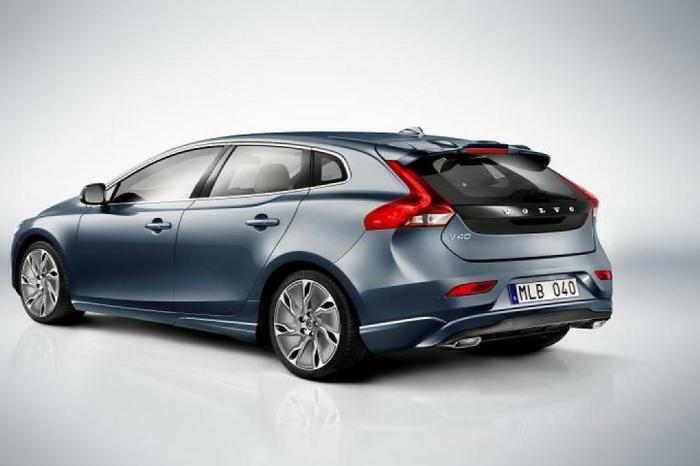 Volvo’s V40 premium hatchback was an all-new model that launched in 2012, resurrecting a badge the Swedish company had used on an estate model sold from 1995 to 2002. However, the 2012 V40 almost replaced three models in one – the preceding C30 hatchback (2006-2013), the S40 compact saloon (discontinued after two generations in 2012) and its associated estate, the V50 (2004-2012). Aimed squarely at the compact premium models from German and Japanese manufacturers, the V40 has been sold purely as a front-wheel-drive, five-door hatchback for all of its seven-year production life. A variety of turbocharged petrol and diesel engines power the V40, which has the typical Volvo attributes of a smooth ride, comfortable seats and class-leading safety credentials. Launched in 2012, the V40 began life with a variety of inline four- and five-cylinder diesel engines, badged T2-T5 on the petrol side (the higher the number, the more the power) and D2-D4 for the diesels. However, by 2014, Volvo’s Drive-E campaign was in full swing and so five-cylinder engines were dropped for newer, cleaner, modular four-cylinder turbocharged units that made the same sort of power and torque, only with lower emissions plus improved fuel economy. That meant, on later cars, that power ranged from the 120hp D2 and 122hp T2 models, through the 150hp D3 and 152hp T3, and then 190hp D4 and T4 models, to a rare 245hp T5 petrol range-topper – here in Ireland, we got the D2, D3 and D4, as well as the T2 and T5 variants. Typically, all V40s came with either a six-speed manual or a six-speed automatic, known as the Powershift, but later in the model’s lifespan an eight-speed automatic was also offered, while the V40 was facelifted in 2016 to include a new grille, fresh designs of alloy wheels and additional paint colours – plus the ‘Thor hammer’ T-shaped daytime running lights that were ported over from the newer XC90, V90 and S90 lines. Trim grades in Ireland followed Volvo’s usual format, with Momentum forming base spec before moving up a wine-glass structure to either sporty (R-Design) or comfort-oriented (Inscription) variants – while, introduced in 2013, a V40 Cross Country model (with a raised ride height and chunkier looks) operated as a specification in its own right. We’d recommend avoiding the low-power diesel and petrol models, because they feel a little undercooked when you’re out on bigger roads. A D3/T3 would be more than enough for most needs, but it’s hard to ignore the D4 – 190hp, loads of torque (400Nm), as clean as modern diesels can be and smooth in operation. A high-ranking Inscription model would be a good all-rounder that’s a little different to the Germanic norm in this class. Volvo’s V40 will be due for replacement before too long, but as an execution of the premium hatch formula, it’s a pretty strong one. It’s not the most exciting thing to drive and its choice of engines can become confusing, seeing as older and newer units all wore the same alphanumeric badging, but almost all the powerplants offered (save for ‘-2’-badged models) are decently refined and punchy enough, while the exterior looks of the V40 plus its excellent safety reputation make it an intelligent used-car purchase.